Fashion Star is back to burn up the catwalk once more with new reality show contestants vying to sell their winning designs to fashion retailers and brands like Macy's, Saks Fifth Avenue and, new for this second season, Express. Celebrity mentors Jessica Simpson, Nicole Richie and John Varvatos return, whilst Elle Macpherson is out as host and stepping into her heels is Glamour magazine's editor-at-large Louise Roe. 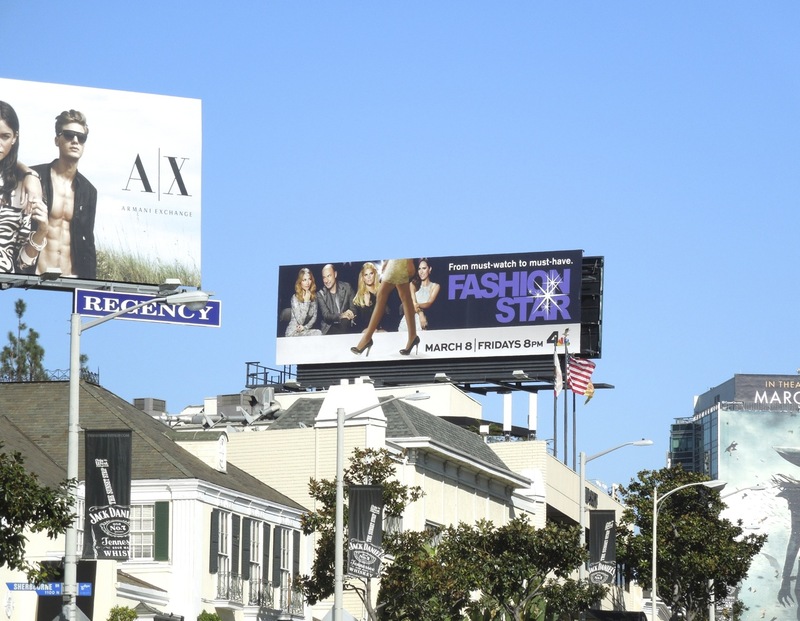 These sophomore season billboards instantly convey the world of fashion and were spotted along L.A.'s Sunset Strip and Melrose Avenue on February 9 and February 14, 2013. 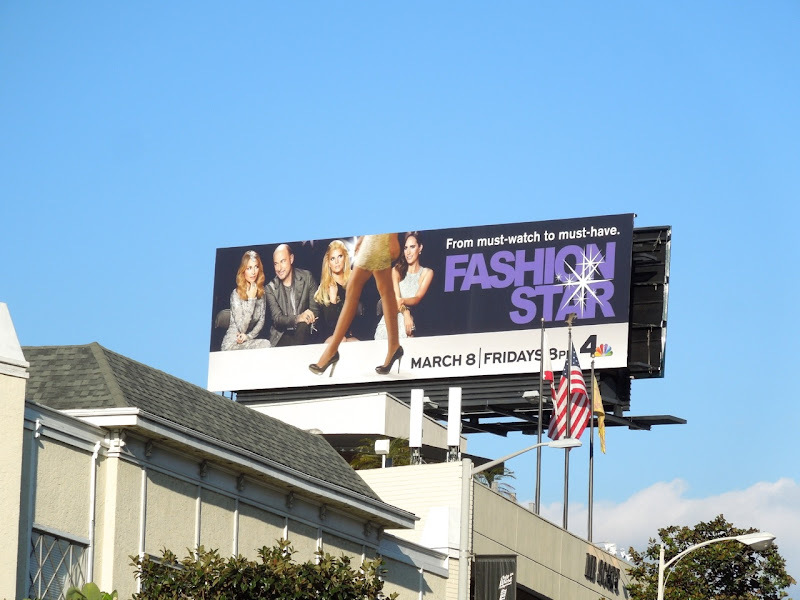 If you're a fan of the show, be sure to also check out the Fashion Star season one billboard.